This is one of the pages that has showcases a bit of real-life influence. Specifically, that's basically a map of my old neighborhood where I grew up. The house that they're running to is even the house where the real-life Chelsea lived. Yes, the character of Chelsea is mostly based on a girl I knew for many years growing up who lived right across the street from me. Her real name wasn't actually Chelsea, and I won't reveal her true identity, but interestingly enough we actually are good friends now (not that that's a spoiler or anything, hehe). 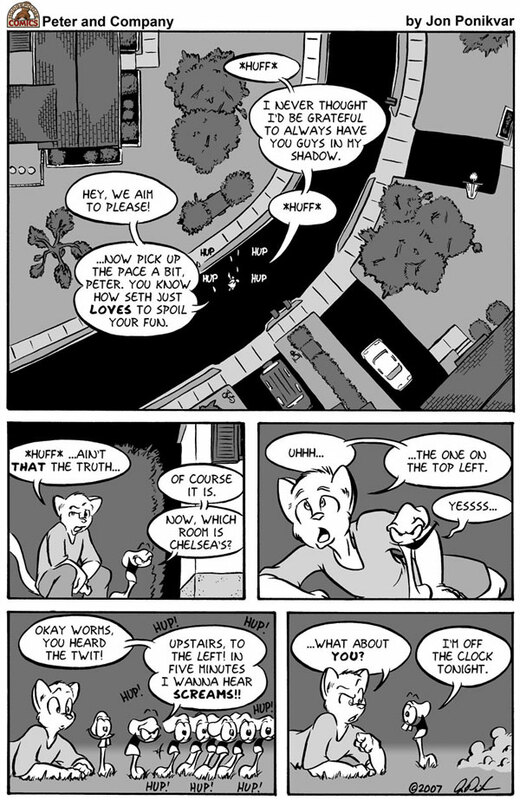 A lot of what she does in the comic is directly taken from real life, but other elements to Chelsea's character, like her being a foster child, are entirely fictional.